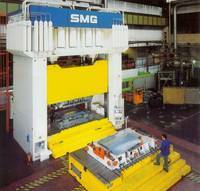 Mechanical and hydraulic press machines are used for a wide range of industrial and manufacturing related applications. Commonly used for blanking, clinching, deep drawing, forging, moulding, punching, and metal forming operations, they typically come available in a variety of pressing capacities (i.e. from 1 tonne and beyond) for a range of different industrial environments. 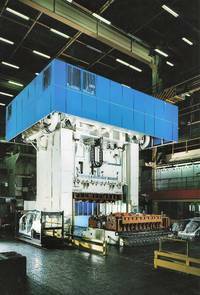 HYDAC provides components and systems for mechanical and hydraulic presses. HYDAC is your partner for metal forming technology, whether in hydraulics, cooling or lubrication HYDAC offers the right solutions for your mechanical and hydraulic press. HYDAC is your competent partner for components and systems for mechanical press and hydraulic press. With branches located around the country, we’re also able to service nationwide. Get in touch with us today to see how we can help you.